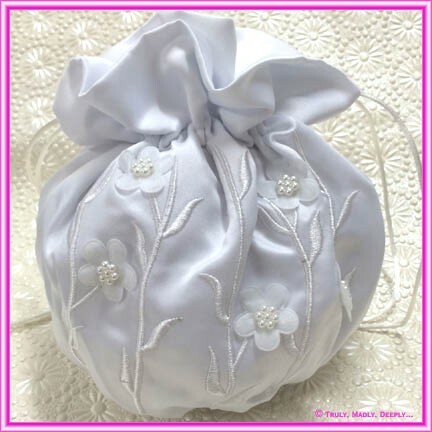 It feautures a white satin bag with satin edged daisies and pearls. Bag is approx. 11.5cm in height and comes complete in a clear bag.